Keep the harpsichord out of direct sunlight. Be aware of the climate, and don’t subject your instrument to extremes. Most harpsichords are happiest at a humidity between 50% and 70% and temperature ranging from 15°C to 25°C (59°F to 77°F). Standard museum conditions are a luxury: 50% humidity and 20°C (68°F). Learn a little about how the instrument works. 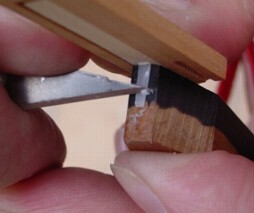 Keep your harpsichord in good tune, including the 4⁠´ choir if you have one: Tuning should be a pleasure, not a chore. If you must, use an electronic machine to build your confidence. Avoid Equal Temperament like the plague, unless you have a good reason to use it. Close the lid and lid flap when not in use. Only play your harpsichord with clean hands, and insist your children and visitors do likewise. To prevent corrosion, don’t touch the strings or other metal parts unnecessarily. Find a good home for your pencil so when you pick it up or replace it, you don’t leave scrawl on any part of your harpsichord. And put your score on your lap to erase pencil markings so your instrument doesn’t fill with detritus. Periodically remove accumulated dust, especially if you live near an industrial area, own pets, or the instrument is kept in your bedroom. With the advice of your harpsichord maker or technician, assemble a little kit of tools and spares to help you maintain the instrument in peak condition, and keep its contents up to date and handy. Know what adjustments you can confidently make yourself, and recognize when professional help is needed. At the very least, you should learn to be able to replace an occasional broken string or voice a quill. Don’t remove any broken parts (loose keycover, jacks, a tuning pin from a broken string…) from the instrument because they are too easily misplaced or lost. Don’t move your harpsichord without the protection of a proper padded cover. Never leave your harpsichord inside a car parked in the sun: The temperature can rapidly exceed 50°C and humidity drop to less than 10%. Confirm that your instrument is adequately insured, especially if you use it professionally.